I don't need a Valentine, I already have... "my pillow!" haha! You can customize this and continue the sentence! It may be your pet dog, your favorite food, your everyday favorite huggable pillow or stuffed toy or just anything! Who cares about having a Valentine date when you can have so much joy with what you currently have! 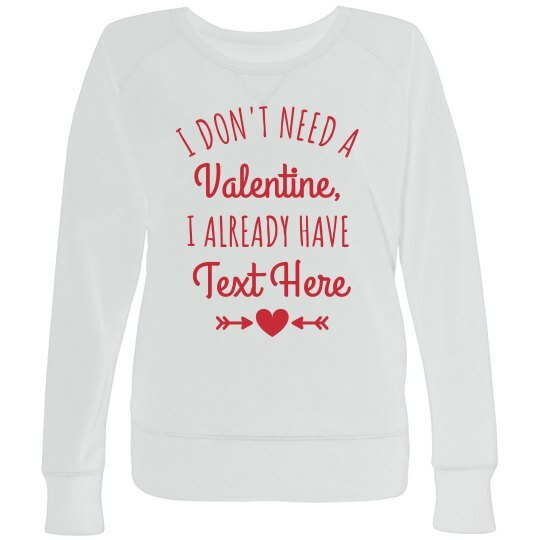 Go to our easy to use Design Center and customize this sweatshirt now! Go and unleash the creative and witty side of you!